After a lot of patience and determination, I finally made it out of the other side of the Lush Online Sale last month! I don't buy a lot from Lush as I find it quite expensive so I thought i'd share what I treated myself to. I remember the Lush sale in 2010 when they weren't as popular and they gave away huge bags of freebies - have a read of this post from 2010 to see what I got back then! I love anything that's ridiculously sweet so Snow Fairy was the main motivation for my order. They only had tiny bottles left so I picked up two that i'll be using as a treat throughout the year. As you might be able to tell, i'm more of a shower girl so I didn't pick up any bath bombs as I rarely use them. Instead, I bought two shower scrubs - Rub Rub Rub and The Rough with the Smooth, that i'm looking forward to trying. 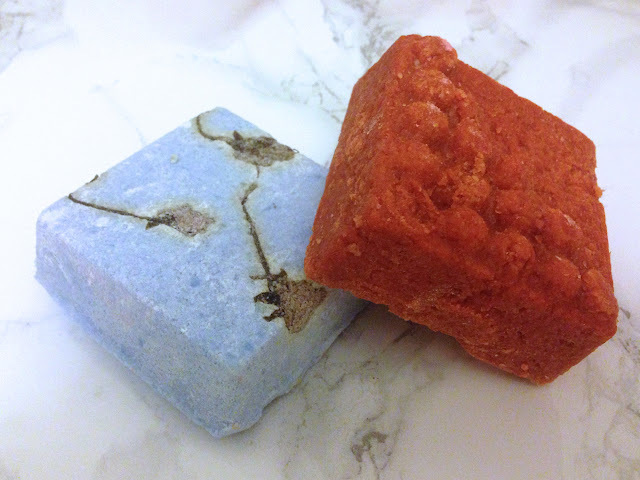 They're both bigger than I expected and like most Lush products they smell amazing too! 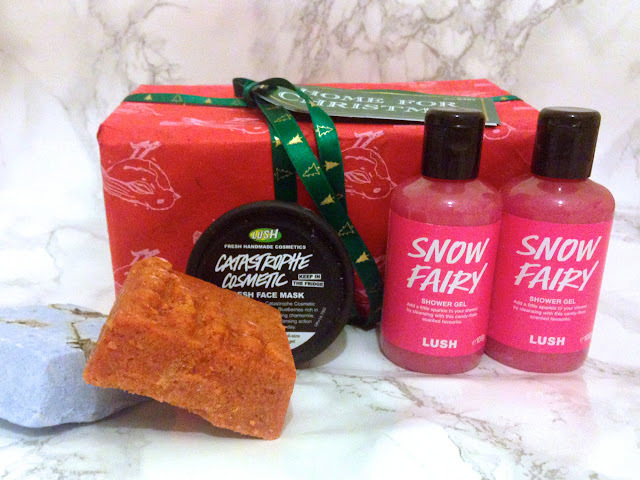 I wasn't planning on buying any gift sets but the 'Home for Christmas' set caught my eye as it has one of my favourite Lush products, Dream Cream, in it. 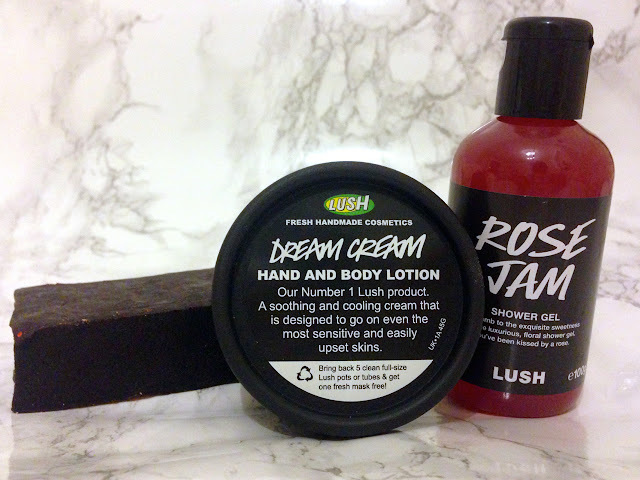 It also contains the Rose Jam shower gel which i've heard lots of good things about and for £7.25 it seemed good value for money, especially because a small bottle of Rose Jam is £4.95 on it's own! 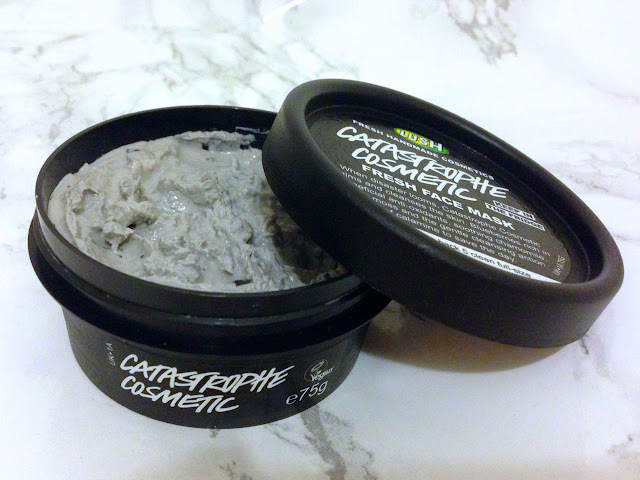 The final thing I bought was the Catastrophe Cosmetic Fresh Face Mask which wasn't in the sale. I've actually never tried a face mask from Lush as I find the sales staff quite pushy in my local store, so buying it online was a lot easier! At £6.75 a tub this is definitely a treat for my face but i'm hoping it will make a difference as i've heard lots of good things about all the masks! Snow Fairy is a must for me, when Christmas rolls round I stock up because I love it so much! I love Lush products! This looks amazing. I never had a mask from lush either. Hope it works out well for you! These look like a lot of fun, I've never really tried out lush but maybe next time I need something ill try one of theirs. My friend always uses lush bath bombs and posts pics and they're always so sparkly and colourful!